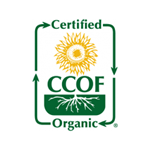 Founded on healthy and balanced soil, water conservation, composting, natural critter and weed management, renewable resources and cover crops. All of Coquelicot Estate Vineyards' 58 acres are Farmed Organically. Join us for some fun and exciting events held year-round at our tasting room located at 2884 Grand Avenue in beautiful Downtown Los Olivos. COQUELICOT (ko-klee-ko) is the name “en Français” of the striking red poppy flower that graces the French countryside, as well as all the labels on our wines. Our 58 acre vineyard is an organically farmed property in the heart of the Santa Ynez Valley. Sustainable farming and gentle, meticulous winemaking techniques converge to produce hand made, limited production wines that are a true celebration of life. Farming organically has always been an extremely important element in our winemaking. 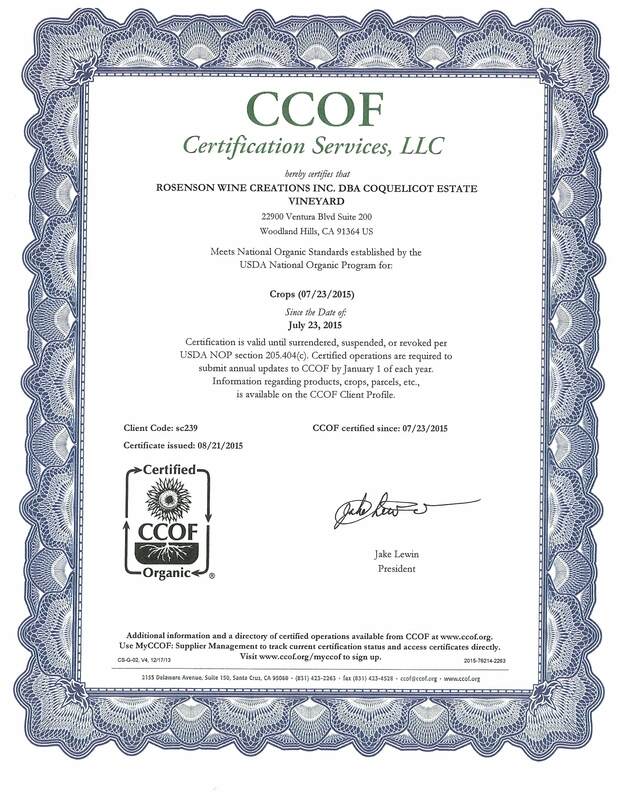 Last year we were awarded a certificate (a 5 year process), that signifies we have met the national organic standards established by USDA National Organic Program. Coquelicot wines is affiliated with a hotel and several restaurants in Southern California! Visit us at any our establishments below and join our wine club to get discounts. Learn more about what goes on behind the scene at Coquelicot Estate Vineyard.